TL3. They operate using two separate MPP trackers that can handle both symmetrical and asymmetrical loads to allow for optimum adjustment. Each tracker is able to process virtually all of the AC output. This allows for all typical requirements of complex designs to be fulfi lled; on the one hand, for example, full confi guration of an east/west-facing roof (symmetrical load) or, on the other hand, the regular confi guration of a southfacing roof without having to dispense with the solar yield of a dormer (asymmetrical load). The MPP trackers can also be connected in parallel: installation costs less (you do not need an additional external disconnector) when strings need to be combined before the inverter. Two strings can be connected per MPP controller, i.e. 4 strings for each unit. V. This means that solar yields are optimum for comparatively small areas such as dormers or carports but they also operate for more of the day. The peak effi ciency is 98 % and the European effi ciency is also above average. The compact design weighing only 40 kg combined with the DC connection via solar connectors makes installation very easy and economical. It is easy to achieve perfect communication with these units. They are fi tted with an integrated data logger with web server, a graphical display for showing operating data and a USB port for installing fi rmware updates. 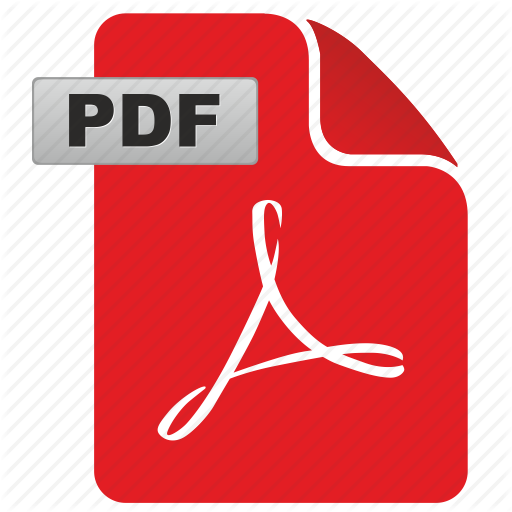 The current software can be downloaded free of charge from the download area of www.kaconewenergy. de/service. The yield data can be called from the web server or via USB for evaluation. The integrated data logger can also be connected directly to the Powador web internet portal for professional evaluation and visualisation of the inverter data.A number of country-specifi c default settings are programmed into the inverters. These are easy to select during onsite installation. The interface language can be selected separately. 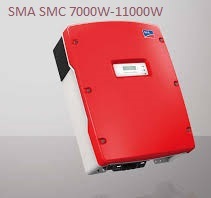 The inverters conform to the German Medium and Low Voltage Directives and support the functions of the Powador-protect for grid and plant protection and also power management in accordance with the German EEG 2012. Our Powador 3200 to 6600 transformerless single-phase inverters are now equipped with digital controllers so that they can be used internationally. The appropriate country settings can easily be selected on-site; the country-specifi c settings are stored in the software, so the inverters can be quickly installed in any country. Users can also choose a menu language regardless of the selected country setting. The units also comply with the German Low Voltage Directive (starting with software version 1.10 and a manufacturing date from May 7, 2012 onwards). We have changed the product names in line with this improvement. The maximum PV generator power for which the particular unit is optimised can now be read from the designation. All units operate with a full bridge without a stepup converter. Four IGBT power switches reproduce the sine-shaped voltage curve of the public power grid employing pulse width modulation. These are true singlestage, self-commutated units. However, the input voltage must be greater than the peak line voltage for them to be used. V. The open circuit voltage is 800 V, which simplifi es the work of installers when laying out systems. The same is true for the integrated DC disconnect. Screw terminals make connecting to the grid easy. The units contain a single- or three-phase monitoring system conforming to VDE0126-1-1, including an AC/DC-sensitive residual current protector. The units can thus be connected to the grid without any additional measures, even in installations with several inverters. In addition, the units operate using purely passive noiseless convection cooling. The heat that is lost is, to a great degree, dissipated via the heat sink on the rear of the unit. The rest of the heat is radiated from the surface of the aluminium housing. No fans, no problems, just long service life. All Powador 7700 to 9600 units are equipped with digital controllers so that they can be used internationally. The appropriate country settings can easily be selected on-site; the country-specifi c settings are stored in the software, so the inverters can be quickly and easily installed anywhere in the world. The menu language can be selected independently from the country-specifi c settings. The units also comply with the German Low Voltage Directive and the Medium Voltage Directive. All three units include transformerless topology without a step-up converter. DC switch is already integrated. This provides maximum safety and reliability for the system operator and makes the installer’s job easier. These inverters are designed as a trio, with each unit feeding into one of the three phases. This allows each unit to optimally utilise the voltage range of a photovoltaic system that has been divided into three sub-generators. The integrated Sym-Bus ensures that any potential asymmetry does not exceed the maximum permitted limit of 4.6 kW, even when there is a fault in a unit. They represent an alternative to central inverters (depending on the system design). Since all of our transformerless string inverters can also be combined with one another as required, they allow you almost unlimited freedom in planning, from 2 kW up to the megawatt class. Στο τέλος του έτους 1998/1999, ο Ralf Hofmann και οι υπάλληλοι του ομίλου KACO ξεκίνησαν μια ξεχωριστή εταιρεία που είναι αφιερωμένη στη φωτοβολταϊκή: KACO GERÄTETECHNIK GmbH. Η KACO, η οποία ήταν ήδη ο μεγαλύτερος προμηθευτής ηλεκτρομηχανικών ελικοπτέρων παγκοσμίως στη δεκαετία του ’50, οι προκάτοχοι των σημερινών μετατροπέων. Η νέα ενέργεια της KACO βρίσκεται σε όλες τις σημαντικές αγορές φωτοβολταϊκών στον κόσμο. Δείτε την επισκόπηση όλων των θυγατρικών μας και των εργοστασίων παραγωγής σε όλο τον κόσμο. Στην έρευνα και την ανάπτυξη, οι μηχανικοί και οι τεχνικοί αγωνίζονται για τα υψηλότερα επίπεδα απόδοσης. Η προσέγγισή τους καθορίζεται από φιλόδοξα πρότυπα ποιότητας. Ως εκ τούτου, βελτιώνουν συνεχώς τις ενεργειακές τεχνολογίες. Μια επιλογή από πολλά έργα σε όλο τον κόσμο. οι μετατροπείς της blueplanet συνάδουν με τις πιο δύσκολες συνθήκες και παρέχουν αξιόπιστες αποδόσεις.